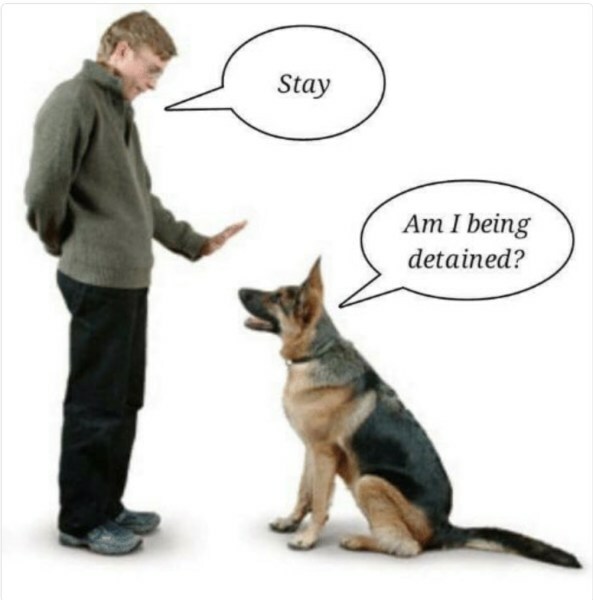 Time to augment our collection of libertarian-themed humor. 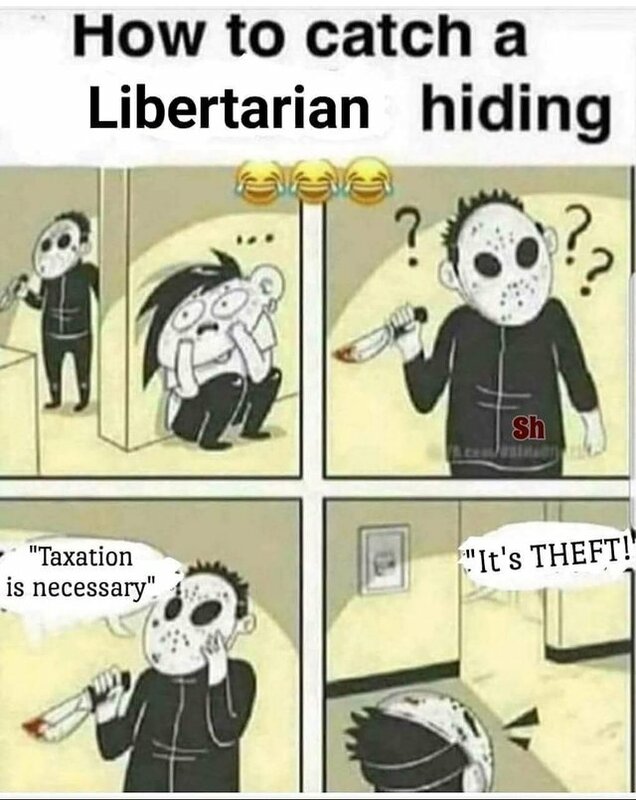 Today’s additions starts with might happen to me if I was hiding from a crazed murderer (h/t: Libertarian Reddit). 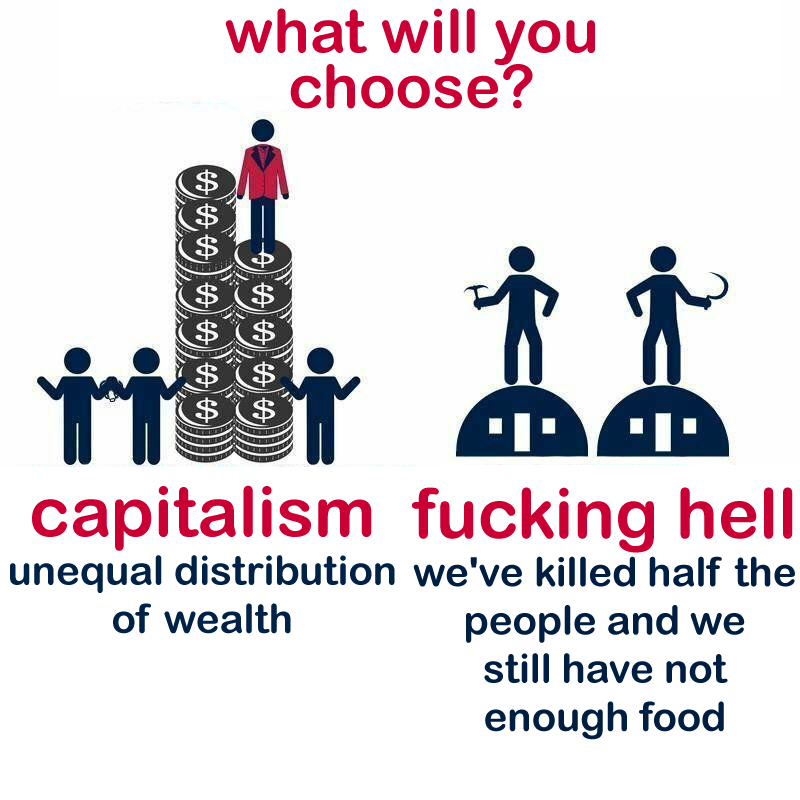 Actually, I wouldn’t get butchered for this reason since I’m not an anarcho-capitalist. 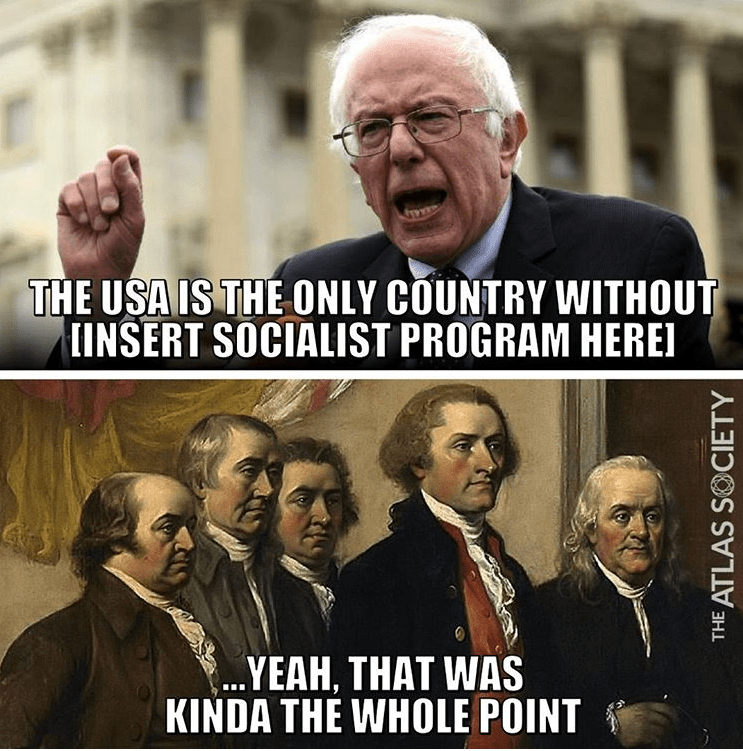 But I probably wouldn’t be able to resist blurting out that the United States prospered for 100-plus years without an income tax, or that taxes could be very low even with an elastic definition of what counts as public goods. Next we have some clever Game-of-Thrones satire from the folks at Reason. I’ve never seen the show, but that’s not necessary since this video perfectly captures the tendency of libertarians to make pedantic (albeit accurate) assertions. Anyhow, if you liked the narrator of that video, you’ll also like this one, this one, and this one. Now let’s look at a clever article from the satirists at Babylon Bee. In an attempt to fulfill the biblical command in 1 Timothy 2 to lift up one’s leaders in prayer, local libertarian believer Stan Marshall asked God to cripple the government and bring it to a swift demise, sources confirmed Tuesday. …He prayed specifically for his local government leaders, that God would providentially deprive them of the “coerced funds” necessary to do their jobs, as well as for the country’s national leaders, that the Almighty would ignite a passionate revolution among the people in order to remove them from power. “Even if you disagree with the people in power, it’s a biblical mandate that we pray for our leaders, and I do that by asking the Lord to smite them each and every day,” he told reporters. I imagine that most religious libertarians simply pray for politicians to have the wisdom to do as little as possible. But I like the way Stan takes it to the next level. 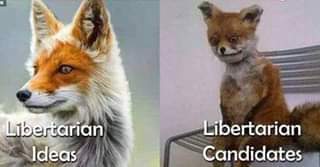 Next, we have a doggie that takes after the libertarian chicken. 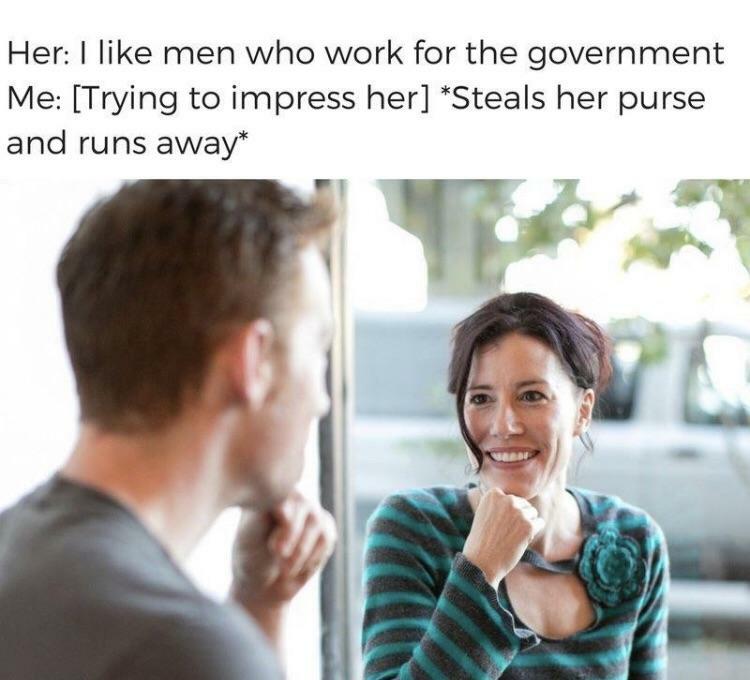 Let’s look at another example of libertarian-themed humor from Babylon Bee. 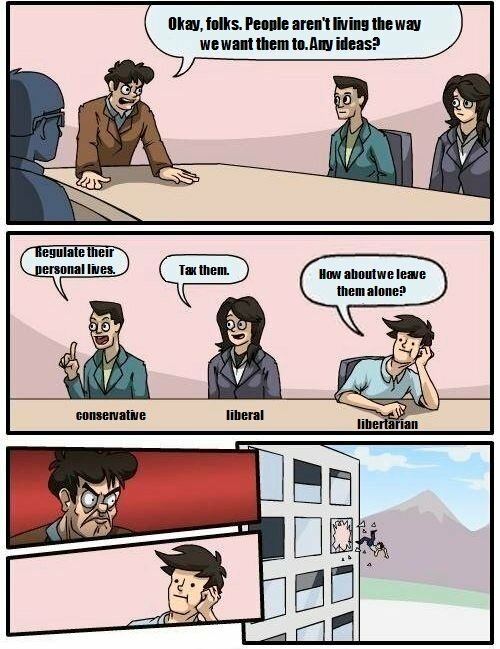 In this case, libertarians prevail because we’re so relentlessly annoying about our ideas. But I’m willing to be extra annoying just in case this might work. Next, we get a reappearance of Libertarian Dork. 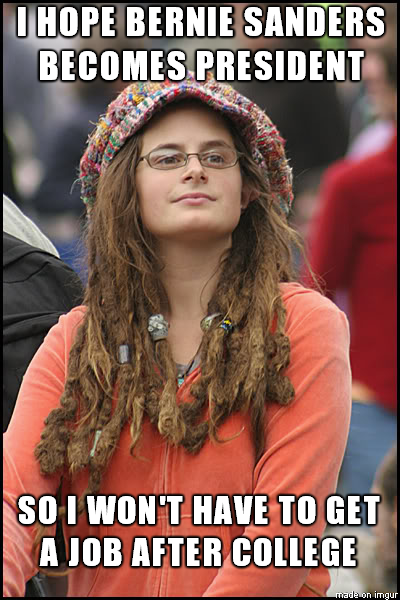 And here’s an example (from Libertarian Reddit) of how I feel when I’m talking to people in Washington…followed by their reactions to my sensible statements. Last but not least, here’s a potential reason why libertarianism faces an uphill battle. You can find even better versions of this meme here and here. 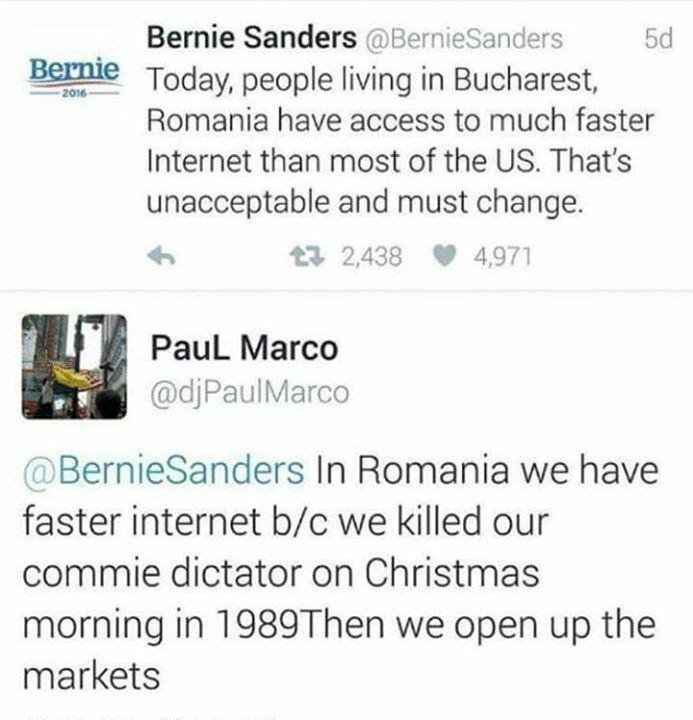 There’s nothing funny about communism and socialism in the real-world. The totalitarian version is horrifying and brutal, while the benign version is “merely” debilitating to economic performance and vitality. But that doesn’t mean we shouldn’t enjoy some laughs by mocking these awful ideologies. 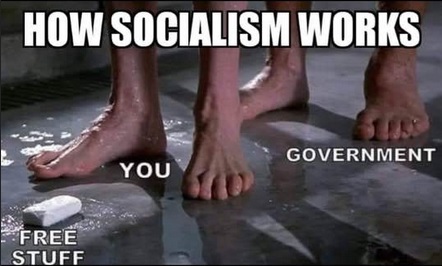 We’ll start today’s collection with a look at socialism vs. democratic socialism. 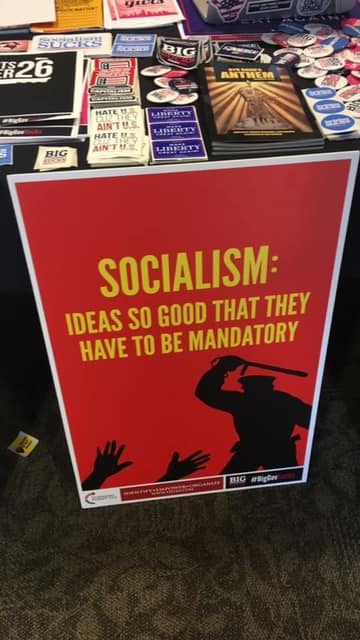 I actually think there is a real difference between Marxist socialism and liberal socialism, but I also think economic coercion and political coercion are kissing cousins. 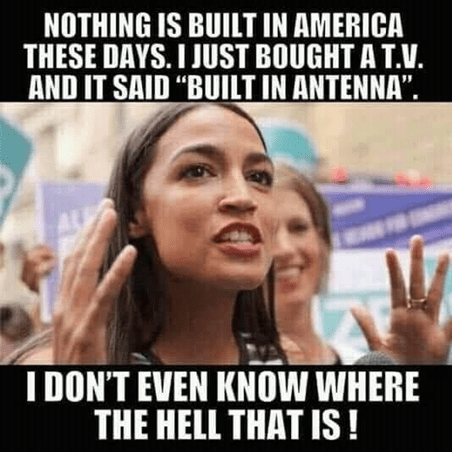 Our next bit of satire reminds me of Venezuela. Chavez and Maduro chose the option on the right. 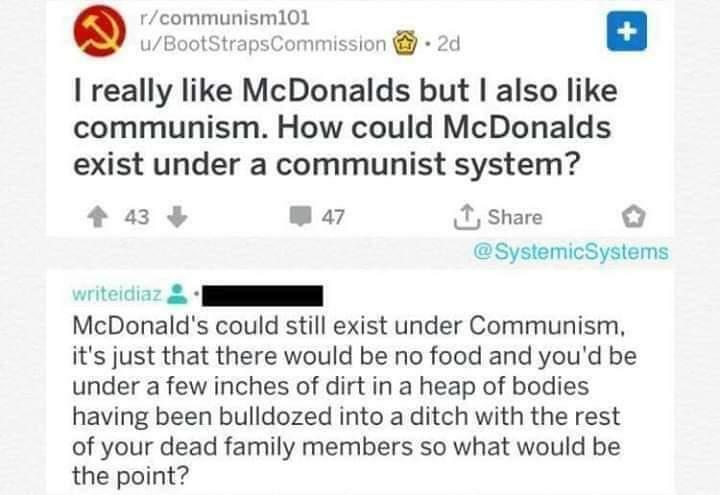 Next we have examples of false advertising (though I’m sure we’ll be told that “real socialism” and “real communism” haven’t been tried. 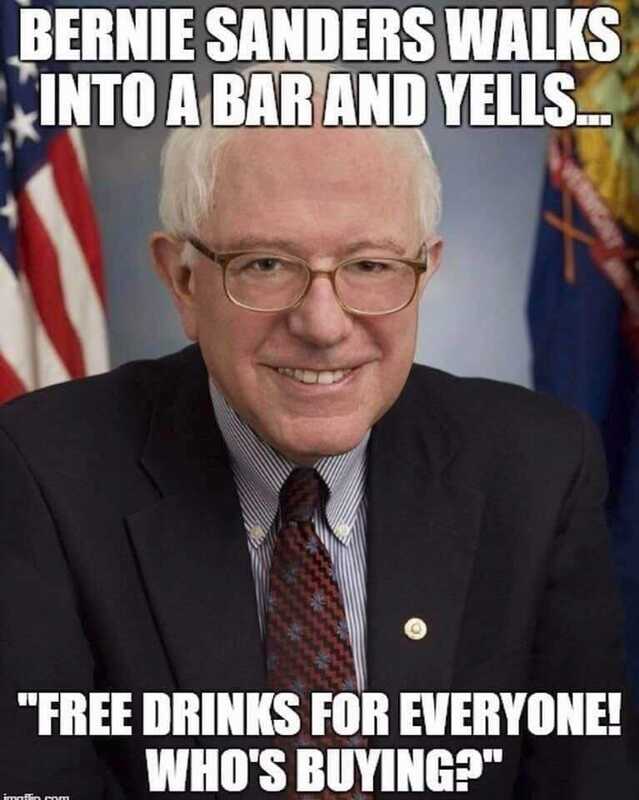 Let’s close today’s edition with a tribute to Crazy Bernie. 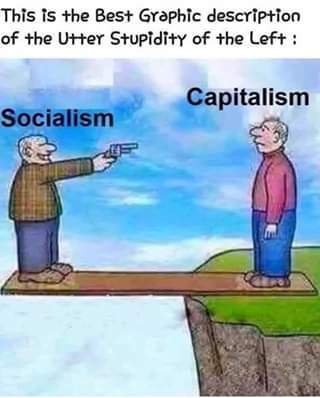 While I enjoy Bernie-focused humor (see here, here, here, here, here, and here), I have to point out that the above image, while amusing, isn’t accurate. Michael Moore and Chavez’s daughter also have huge bank accounts. 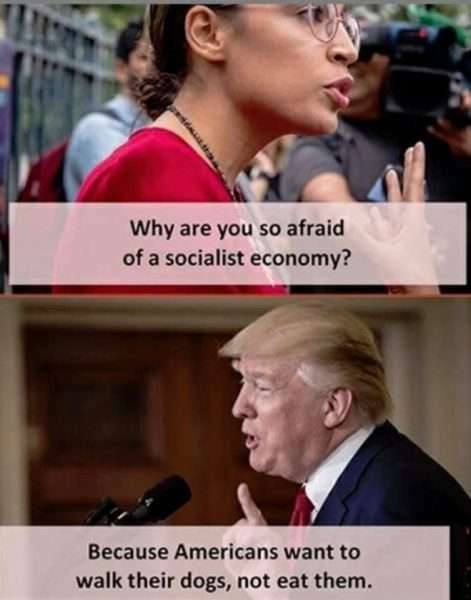 To see the entire collection of communism and socialism humor, click here. 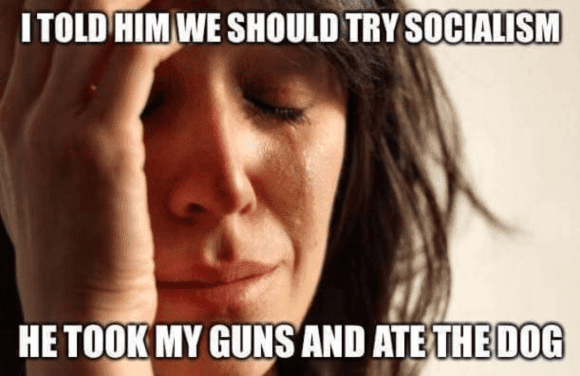 I shared some socialism humor yesterday to start the weekend, so let’s end the weekend by adding to our collection of satire about gun control. 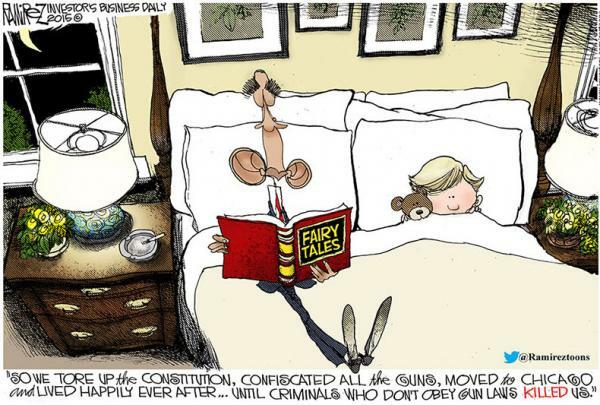 We’ll start with a fairy tale, loosely based on this video, for left-wing children. Or, to be more precise, a fairy tale for parents who want to raise anti-empirical left-wing children. 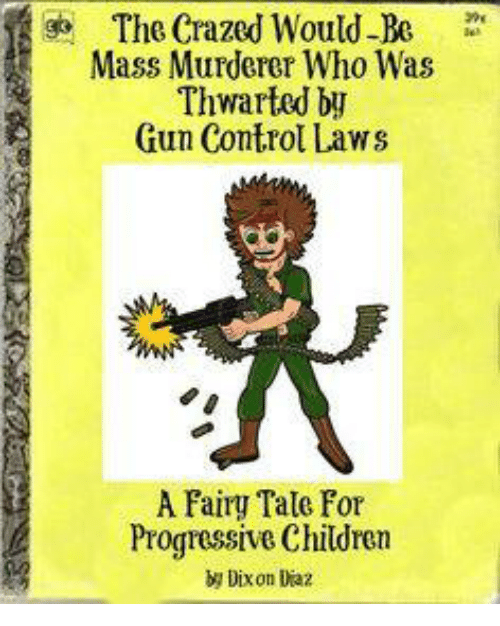 This book belongs on the shelf along with the leftist version of The Little Red Hen, the leftist version of The Little Engine that Could, and the leftist version of The Ant and the Grasshopper. I’ve already shared several variations of this next image. But it never gets old, so here’s another. 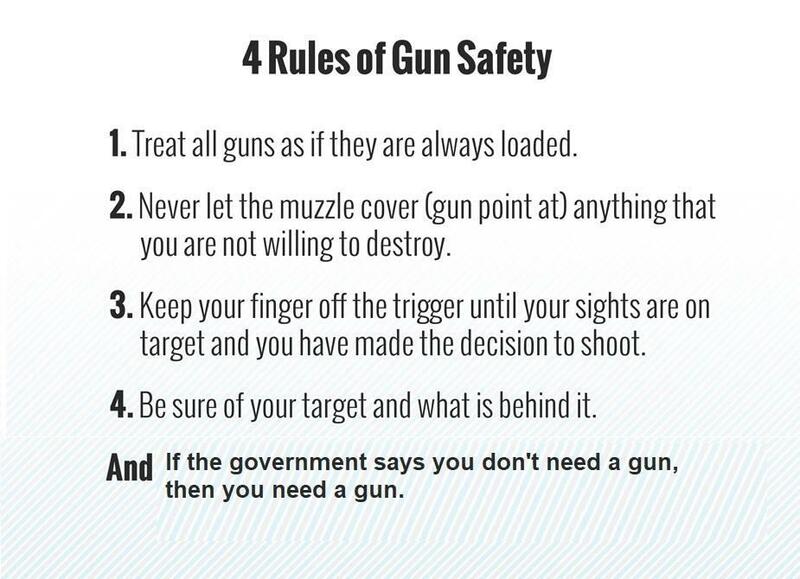 There’s nothing particularly amusing or satirical about these rules for gun safety, but the final rule at the end is too good not to share (as I’m sure the guy at the bottom of this column would agree). Returning the theme of fairy tales, here’s a Michael Ramirez cartoon about the utter failure of gun control in Chicago. I’m guessing Obama’s book includes this example of rigorous, Chicago-related, social-science research. Here’s another cartoon that builds on many previous examples. The video at the end of this column also is a good lesson about gun-free zones. 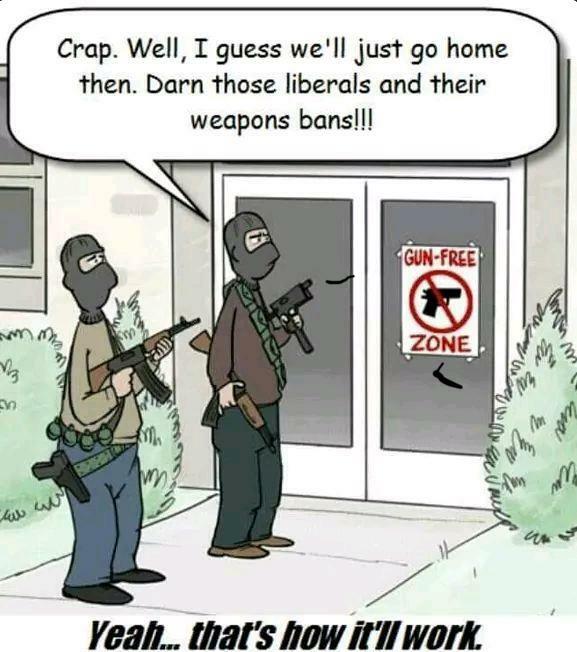 And if you want some serious analysis explaining why gun-free zones don’t work, click here and here. Last but not least, here’s my favorite part of today’s collection (h/t: Libertarian Reddit). Amen. Just like the image at the end of this column. 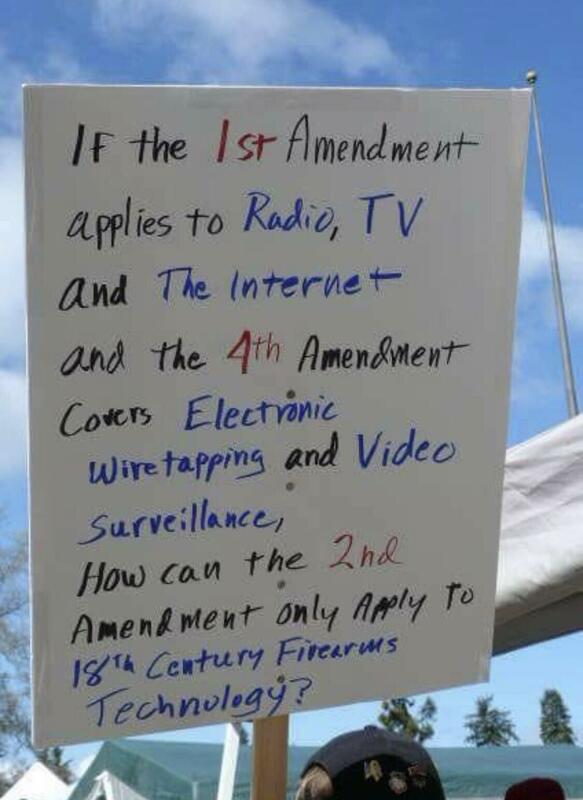 I’ll close by including links (here, here, and here) for those who want serious discussion on gun control, the Bill of Rights, and the Constitution. 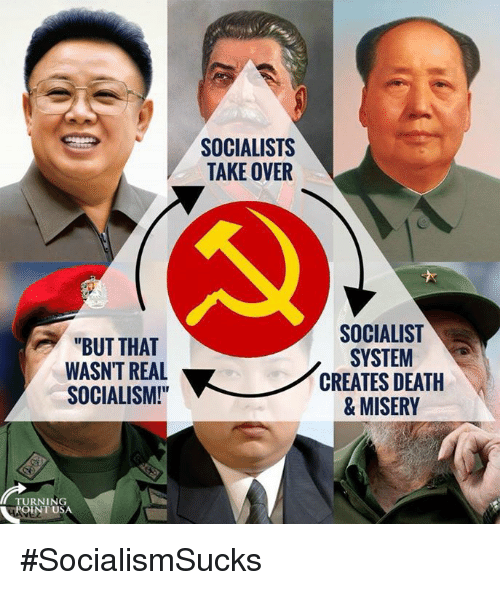 I realize that mocking socialism is like taking candy from a baby, but I have several items to add to our collection. 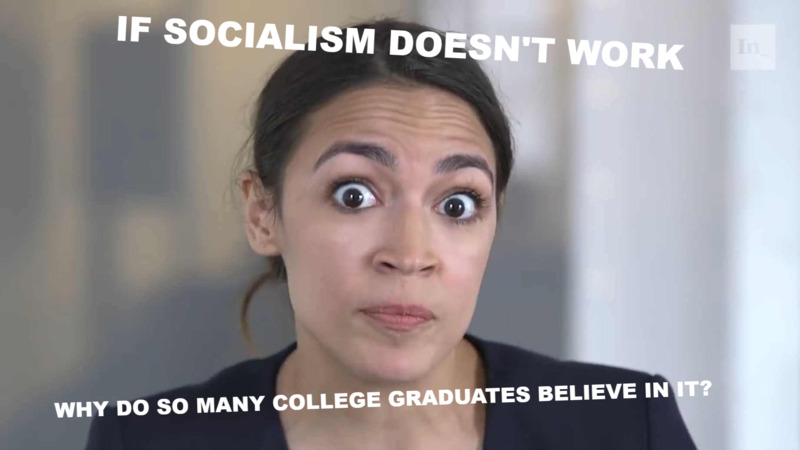 But today I’m going to follow the advice of some readers who have told me that I should make a serious point with each bit of satire so that readers (especially those not already immersed in these issues) understand why socialism is both laughable and tragic. Our first example is some humor based on The Simpson’s, and it makes the important point that majoritarian coercion is still coercion. Which is why America’s Founders did their best to limit the extent of majoritarian democracy. I like this next image because it’s the satirical version of my column on why the left should be nice to upper-income taxpayers. Sadly, my friends on the left seem unable to resist killing – or at least driving away – those golden geese. And when more and more people are riding in the wagon and fewer and fewer people are pulling the wagon, the end result is not pretty. Speaking of not pretty, this is the R-rated version of a great Michael Ramirez cartoon. President Eisenhower also had something to say about free stuff. Moving to our next example, socialists have this romantic notion of a society where everyone pulls together for the common good. But when they try to set up such systems on a voluntary basis, they inevitably fail because of an unsolvable incentive structure. Which is what makes this sign funny…and accurate. Reminds me of this superb tweet. Our final example just appeared in my inbox this morning, so it’s very well timed. 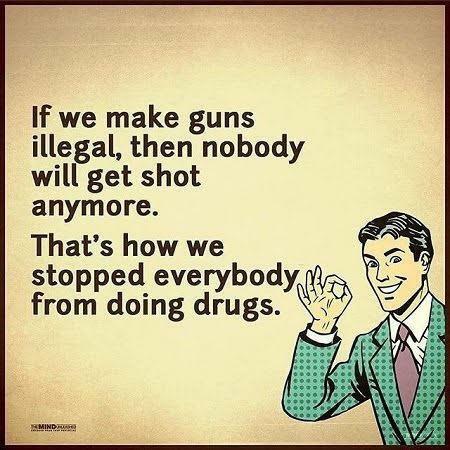 It makes the all-important point that ever-expanding government power is bad for civil liberties (hence this very powerful poster about gun control) and bad for full stomachs. While the image is funny, the real-world consequences are not. Poor people are starving to death in Venezuela. 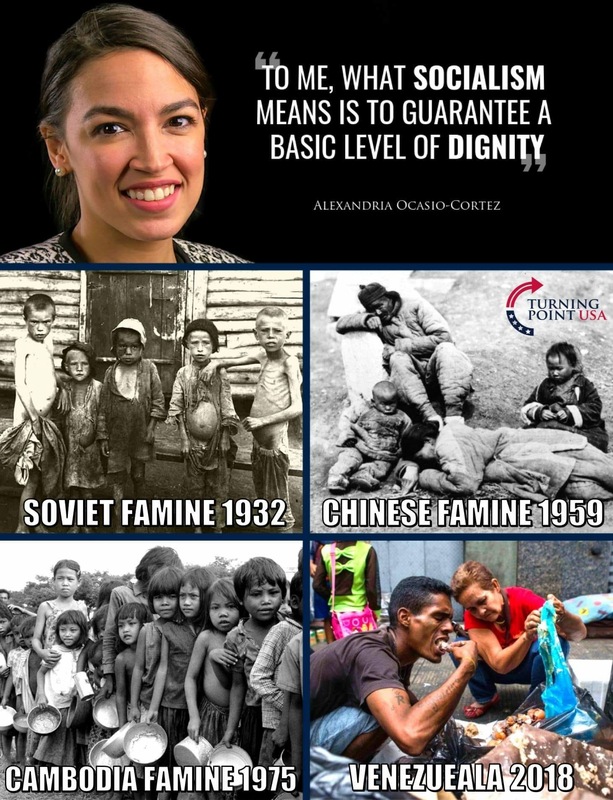 And don’t forget the tens of millions of deaths thanks to famines in Mao’s China or the Ukraine under Stalin. 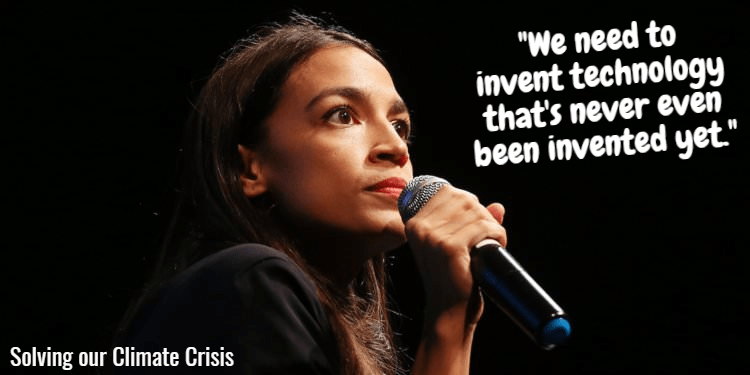 Or the mass starvation in North Korea (which was portrayed as a triumph against obesity by an especially despicable bureaucrat at the World Health Organization). 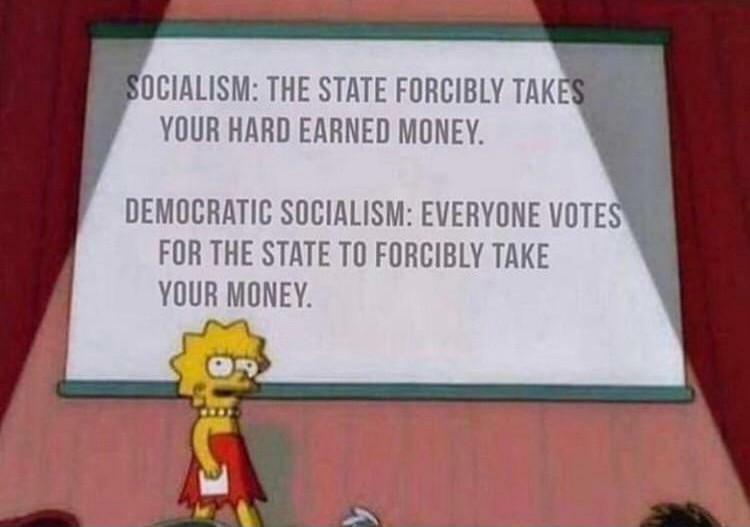 To be sure, there’s a big difference between liberal socialism and totalitarian socialism. I’d take the former if forced to choose. And even when considering liberal socialism, there’s are big differences between market-friendly versions and intervention-based versions. But, all things considered, I prefer freedom and prosperity.